Savvy Do-It-Yourselfers and Décor enthusiasts know that Pinterest is the go-to destination for fresh and innovating ideas for the home. At Lakeside, some of our most popular pins for the month of November have given many homeowners excellent ideas for adding a nice touch to their homes. The holidays are nearly upon us and homeowners love the fact that they can add beautiful accents from our For the Home section. Items here include accent lighting for almost any area or location in your home, picture frames, and much more! The great part about our For the Home section is that is that our items are great for year-round decorating situations. Whether you are looking to spruce up your dining room, living room, or other multi-purpose room, this section has everything you need for the holidays, and any other time of the year. Sometime it’s important to consider décor for the season, as well. 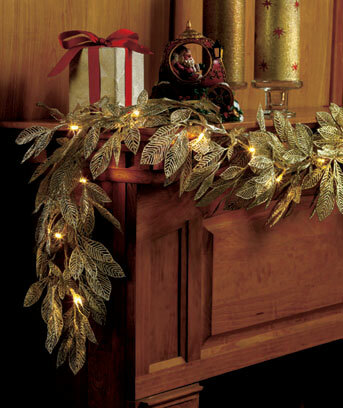 For instance, many of the top pins for the month are from our holiday decorations section. Whether you are considering shopping for yourself, or shopping with others in mind, this amazing section has items suited for both large and small homes. The outdoor décor items allow you to put together an amazing display for yourself and your neighbors. On the other hand, if you are merely looking to add indoor home décor with holiday flair in mind, Lakeside still has you covered with our holiday décor section. Find the perfect combination of items to decorate your tree, and make it a holiday season to remember for you and your family. Pinterest is great at showing you how your table could look with the proper tableware and intricate decorations. Even the best food will lose some of its luster if it’s not showcased properly. This is definitely an area in which we could all improve! So make the most of your holiday meals, and pay attention to your holiday tableware this year. Everyone will wonder how you made it look so incredible. Toys have been really big on Pinterest lately. The end of the year always wraps up so quickly, from Halloween onward. First, it’s Halloween, and before you know it Thanksgiving break comes around. By the time we’re over our holiday feast it’s already time for Christmas, and New Year’s Eve celebrations. If you are looking for a great gift for a child who is notoriously hard to shop for, then the Toys & Sports category is specifically made for you. You can find puzzles here that will even intrigue sharp and intelligent children. If you are looking for gifts for someone a bit younger, or a bit older, you can still be sure you’ll find exactly what you need in this category. Combine all of your shopping in one place to save as much time and money as possible. So why not avoid the long lines, the returns, and hostile shopping conditions this year? You could go shopping anywhere, but wouldn’t it be great to do it all from the comfort of your own home? Lakeside’s Pinteresting picks for the month are a great place to start!